Firm is located in Spokane Valley representing clients all over eastern Washington. 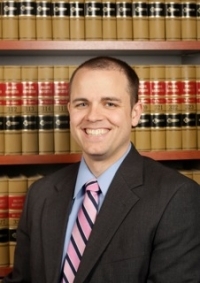 Drew Dalton has been working with Washington worker's compensation claimants for many years. He has experience defending employers and representing workers. He can get the job done for you. I worked for 5 years defending Employers. I did not feel like the employees got the representation they needed in these cases. I decided to switch sides and help the injured worker's get the benefits they deserve. Again my 5 years experience defending employers and 6 years at this point representing workers gives me a unique perspective on how to get the injured worker benefits. We like to return phone calls or answer when we can. We try to have an actual relationship with our clients so you know your attorney is invested in your case and fighting for you.